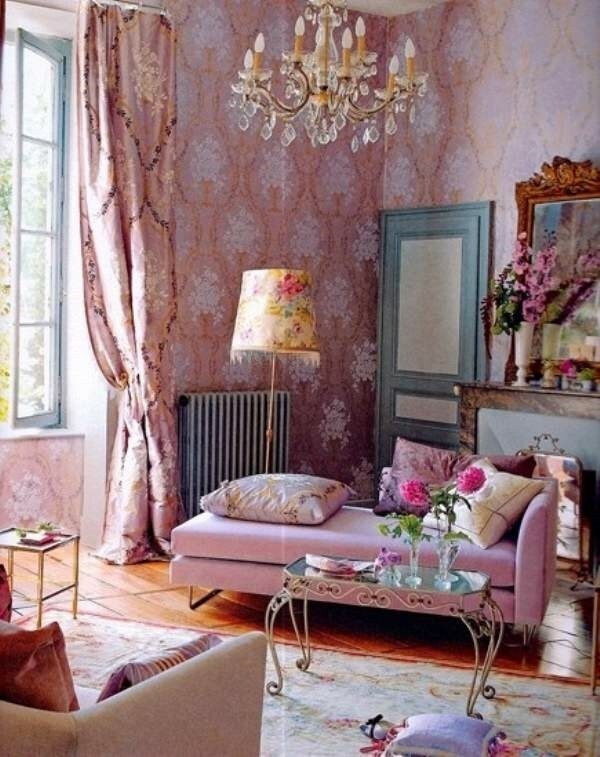 The Shabby Chic style adds the romantic touch of the past in the interior and the room seems like coming out of a fairy tale. 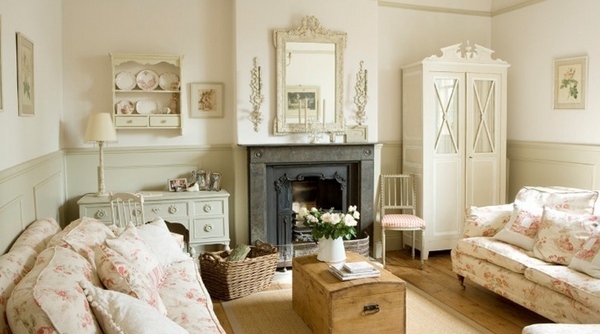 If you are a fan of vintage, romantic and nostalgic interiors, this is definitely your style. 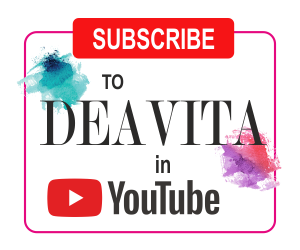 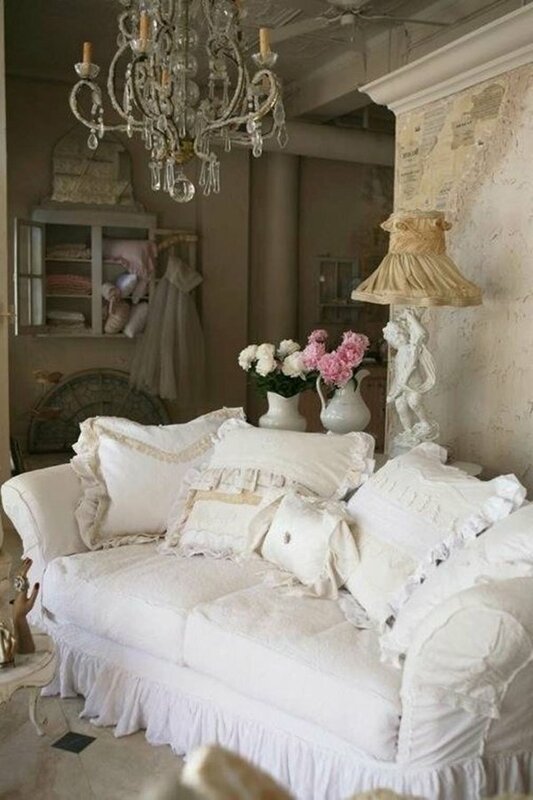 We will show you 40 Shabby Chic living room interior designs to help you dream, experiment and create your own cozy, intimate and inspirational corner of a magic world. 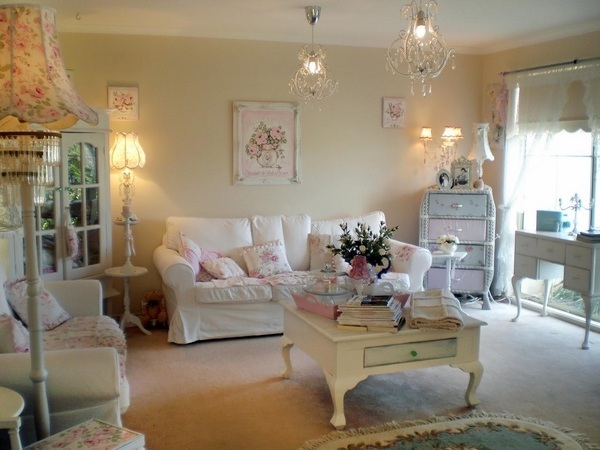 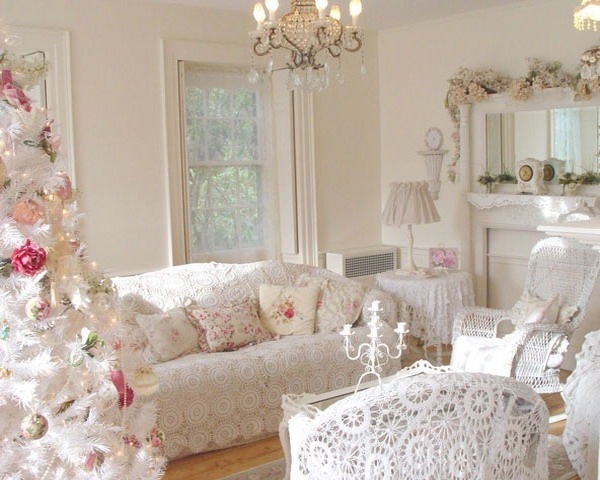 Shabby Chic living room interior is easily created as it follows some simple rules. 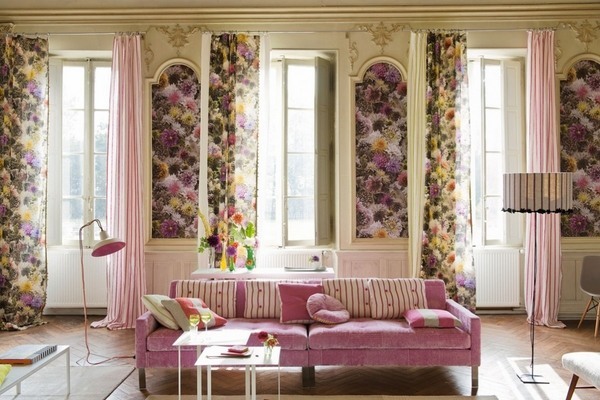 When you decorate, you must be very careful not to overdo it, because the fabrics have a great variety of patterns. 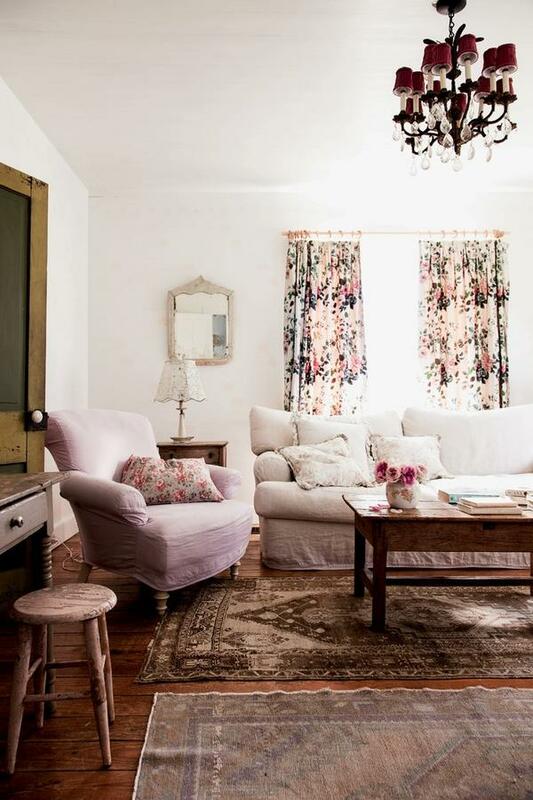 Keep to the rule – less is more – and try to resist the temptation to overload the space with multi colored cushions, floral textiles, decorative items and accessories. 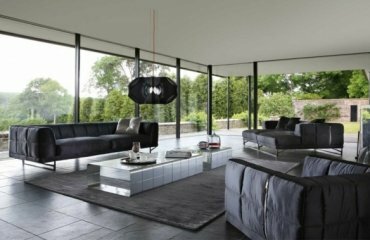 As bulky furniture is typical of the style you need to be careful when you choose it and when you layout sofas, armchairs and stools, so that you do not to block the walkway and to leave enough space if you want your living room to look comfortable and inviting. 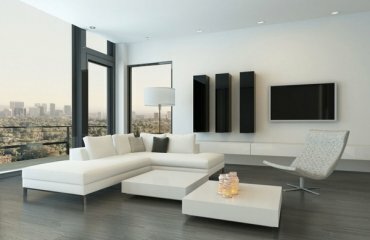 Avoid clutter at all costs. 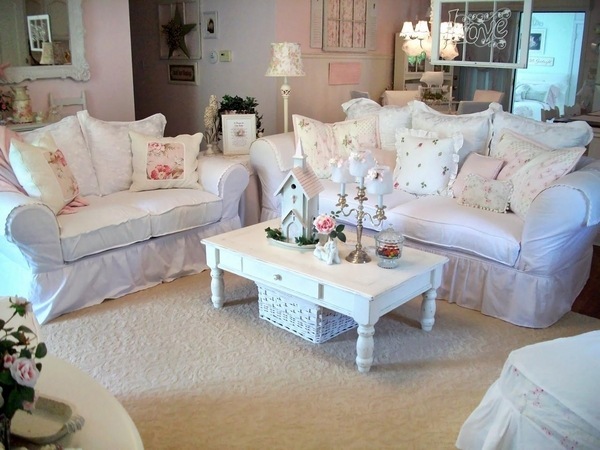 Shabby Chic living room interior design – how to choose the colors? 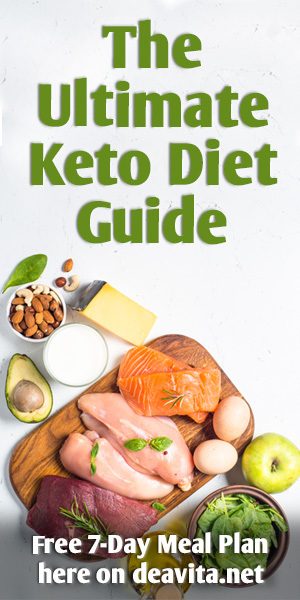 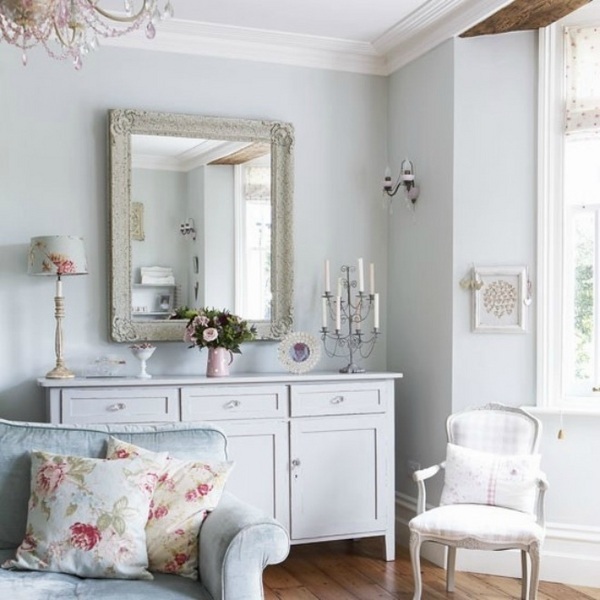 The traditional colors for the Shabby chic styles include the gentle milky white, ivory, light shades of pink and blue as well as the pastel palette shades – mint, lavender, soft yellows, sage. 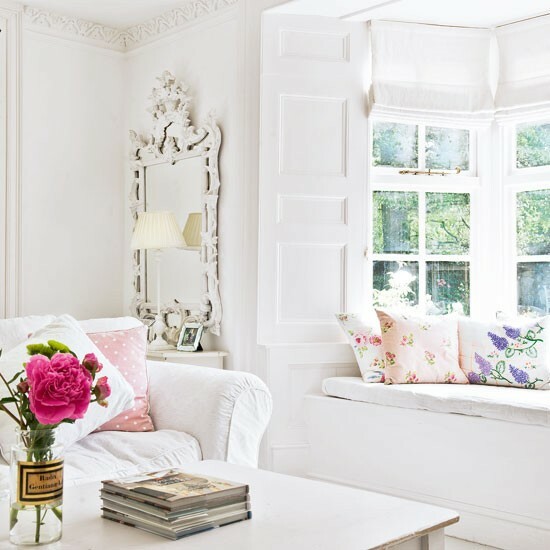 Some Shabby Chic living room interior designs feature mostly white interiors with just a few color accents in muted subtle shades. 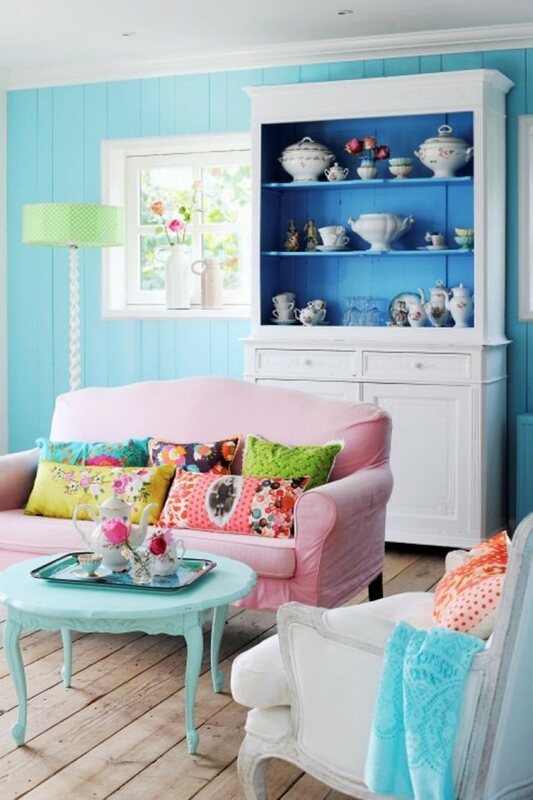 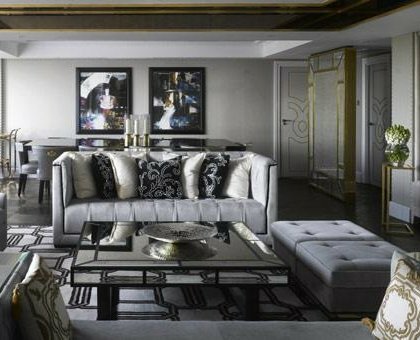 The choice of colors and shades will strongly depend on the theme of the interior. 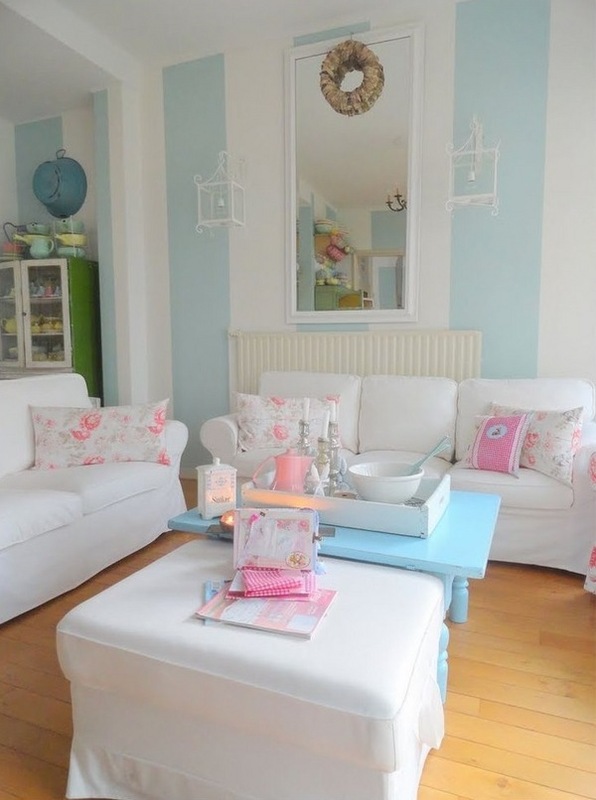 Some people prefer white, ultra-light grays and pastel blue. 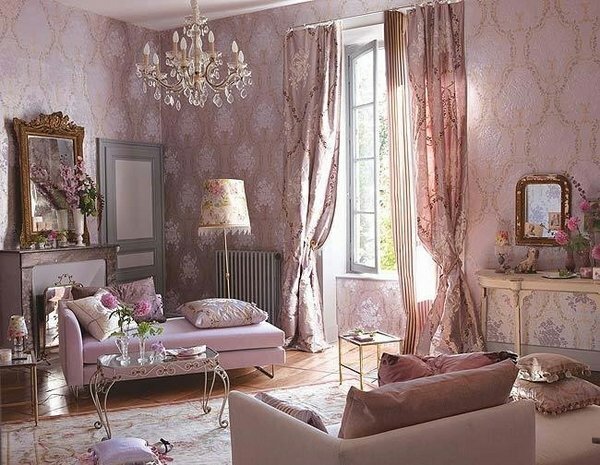 For a more feminine interior pink, lavender and purple shades are more suitable. 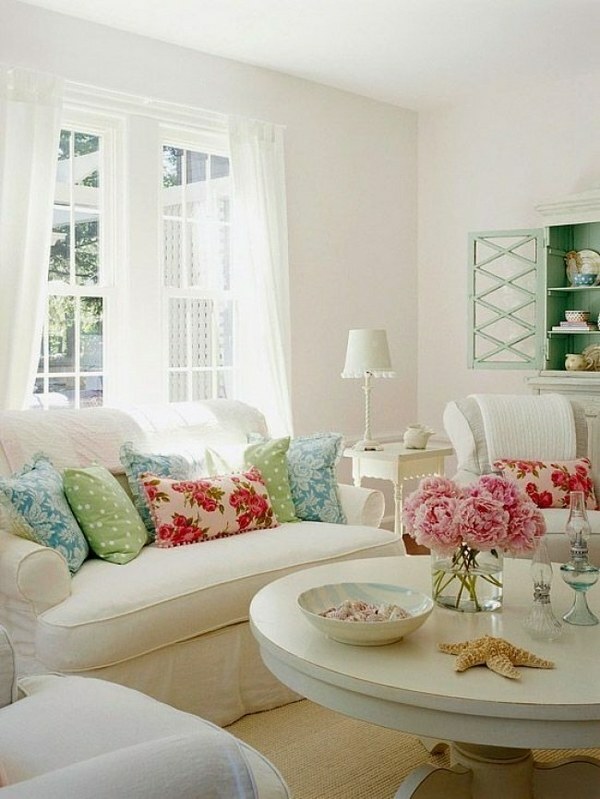 By all means you should avoid from dark and gloomy tones as they are not typical for the Shabby Chic style. 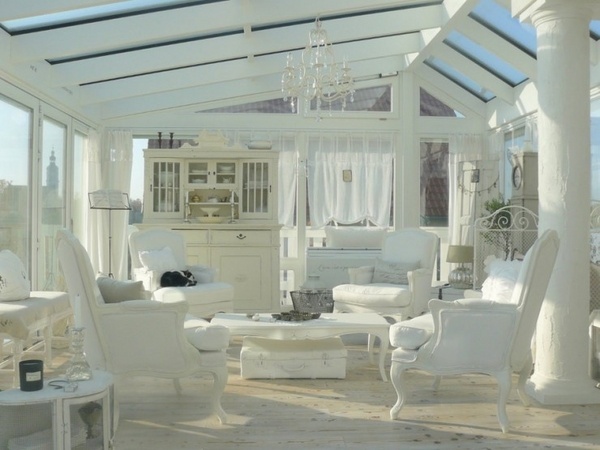 If you have doubts about the choice of color – white is always a safe choice. 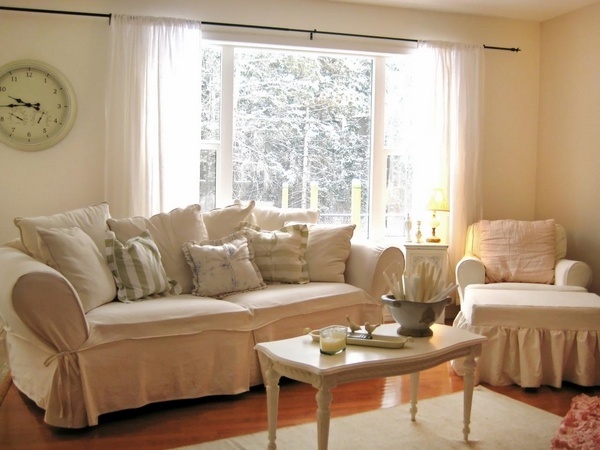 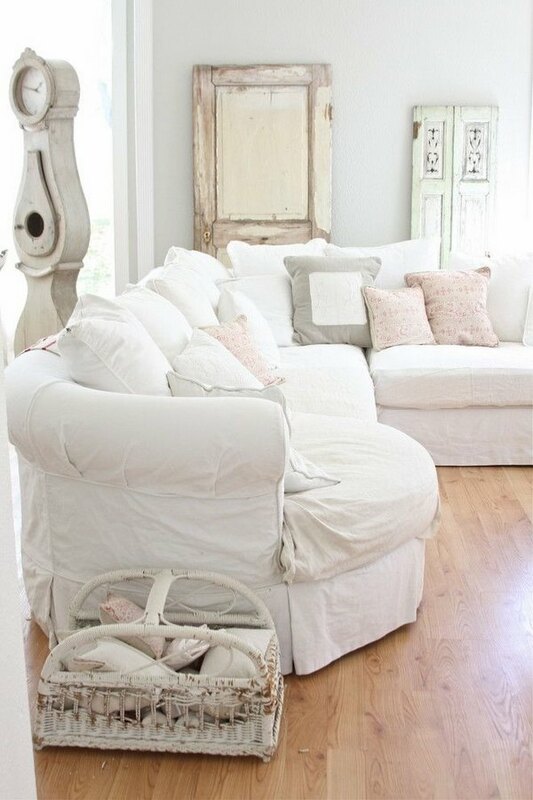 White is the perfect background for decorative pillows from different fabrics which also add texture to the interior. 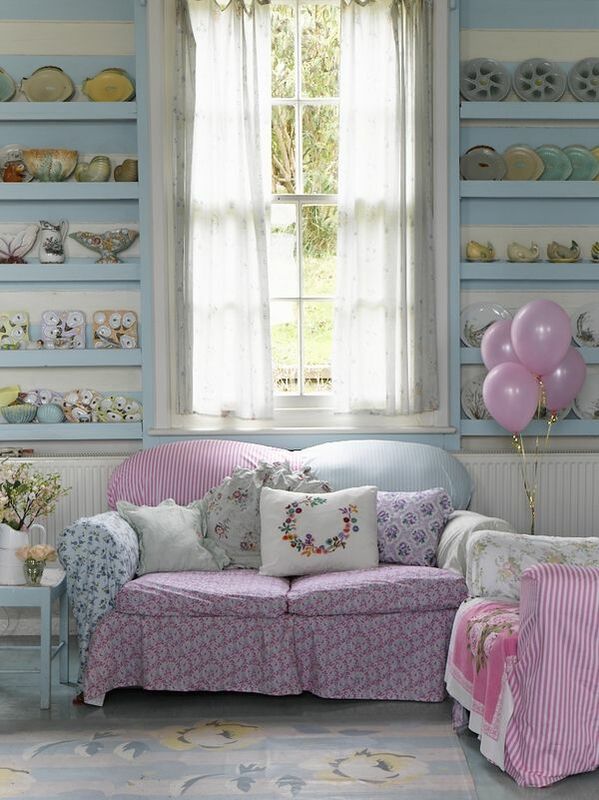 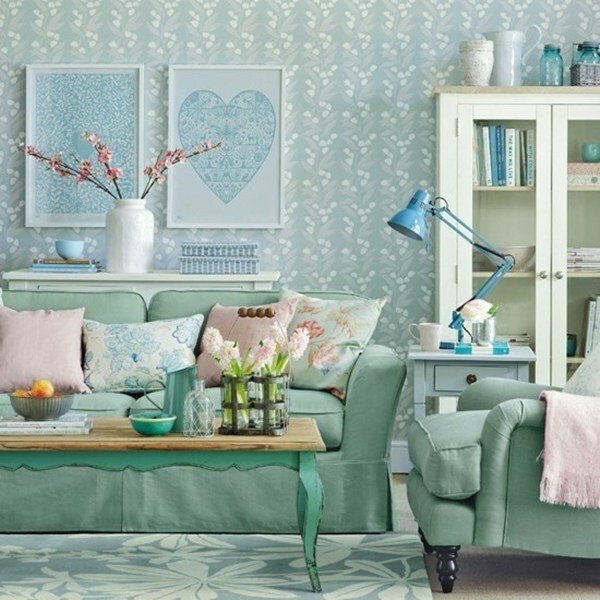 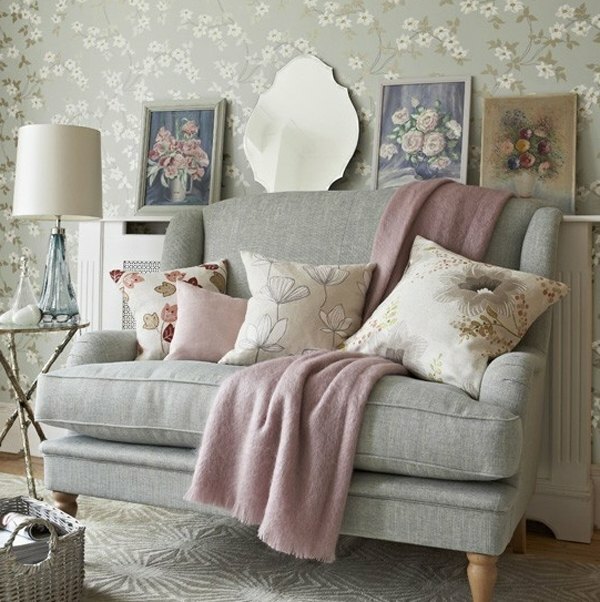 Floral patterns, lace, tiny polka dots – these would be ideal for your Shabby Chic living room. 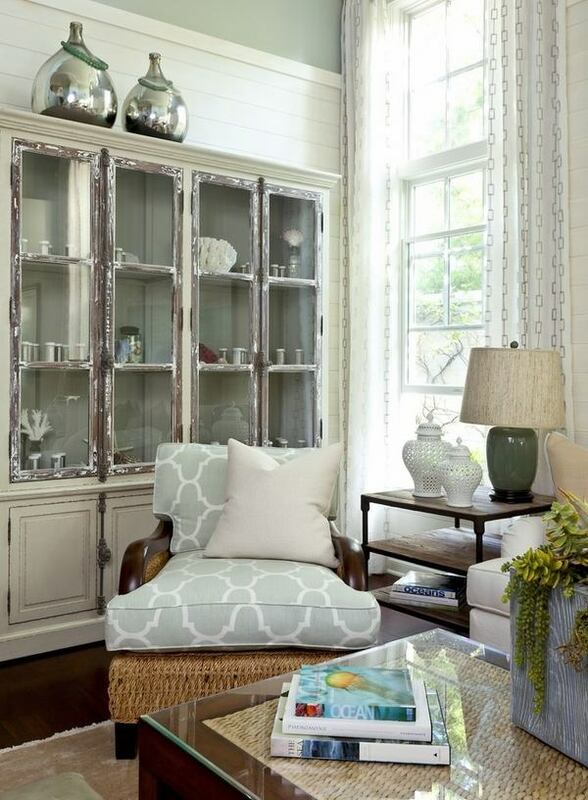 Furniture should look old and used. 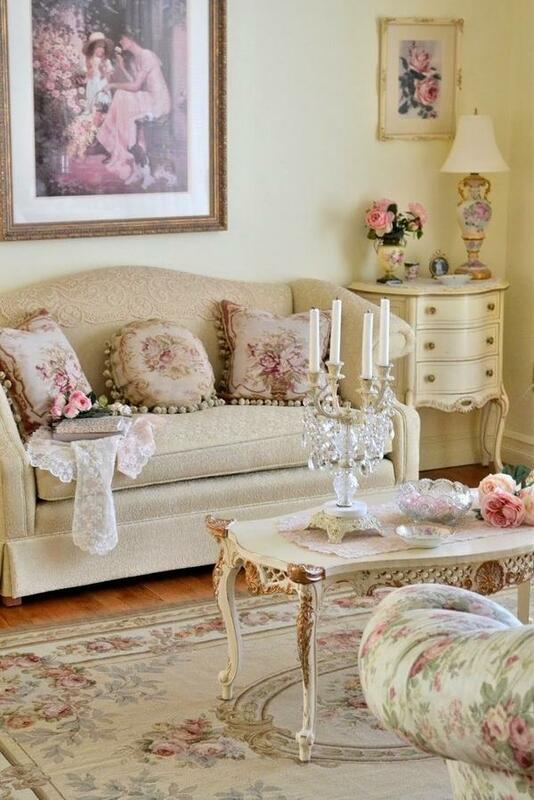 Such pieces can be bought either at the flea market or inherited from a family member and that makes them even more precious. 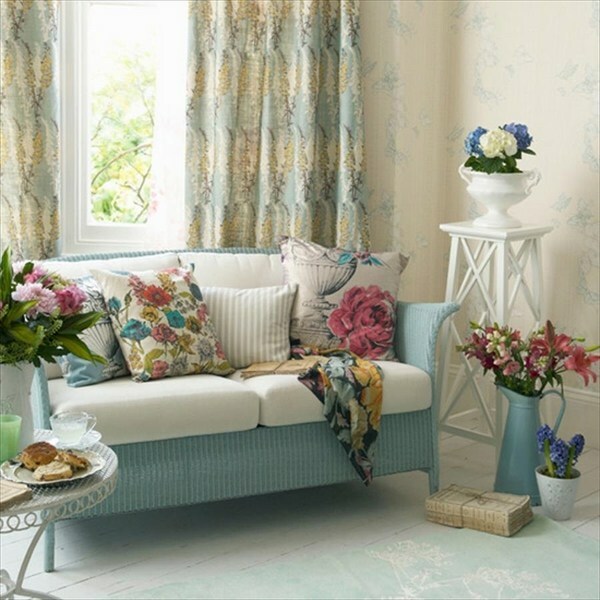 Many furniture manufacturers offer collections in a Shabby Chic style which successfully imitate the vintage look. 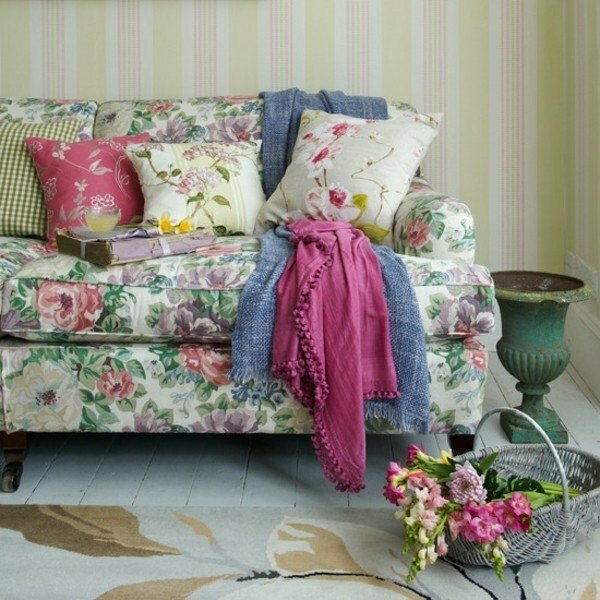 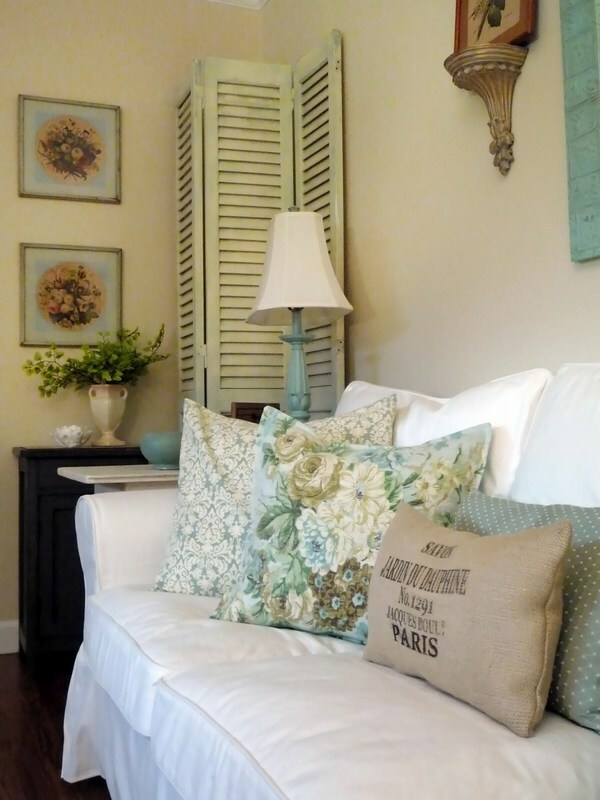 An integral part of every Shabby Chic room is the comfortable armchair and sofa. 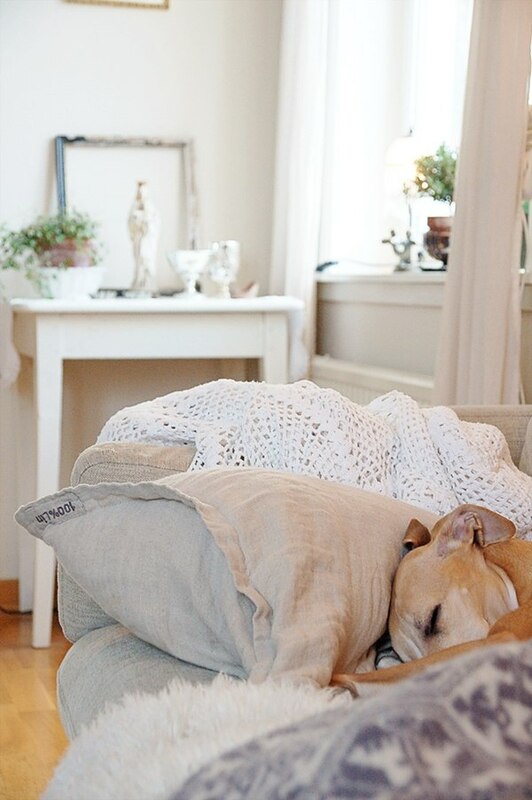 They should be very soft. 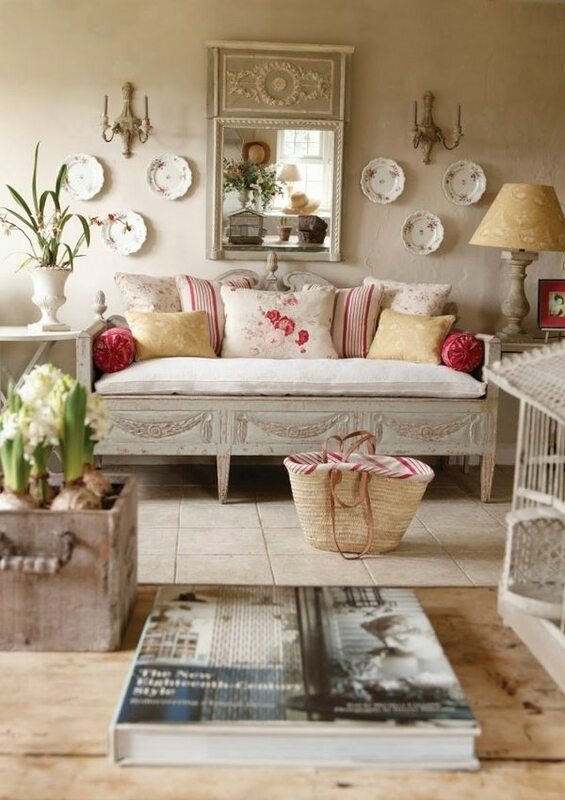 Vintage coffee tables fit quite well in the style. 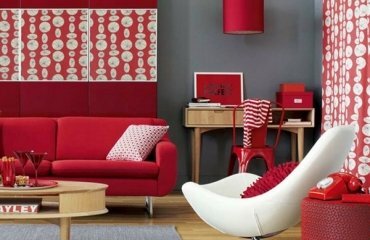 As the style features mainly natural materials, wood furniture – cupboards, chests of drawers, etc – are the right choice. 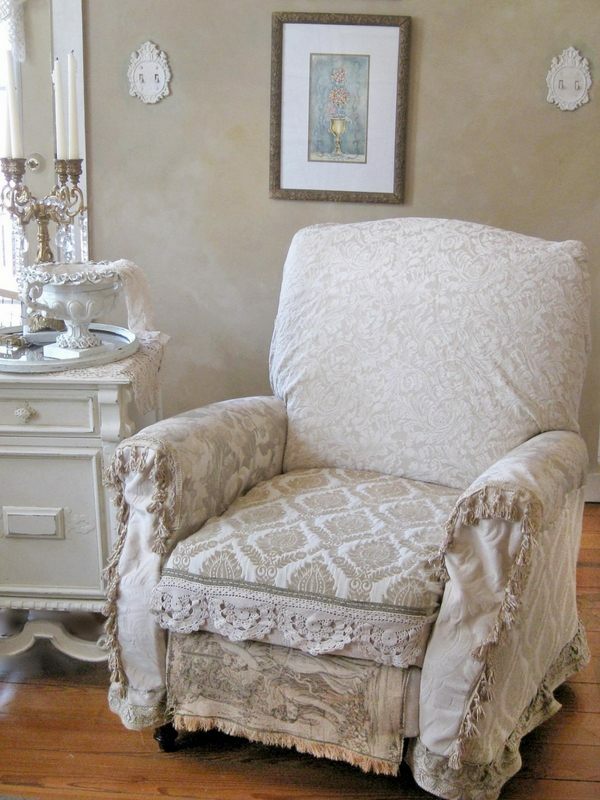 Chairs are upholstered in linen fabrics. 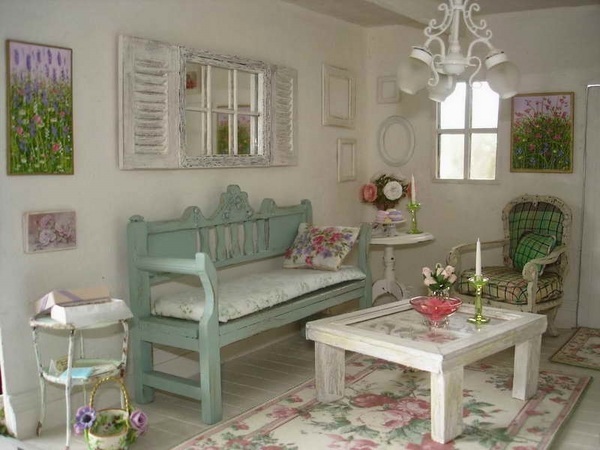 Avoid any plastic elements as they have no place in the Shabby Chic style. 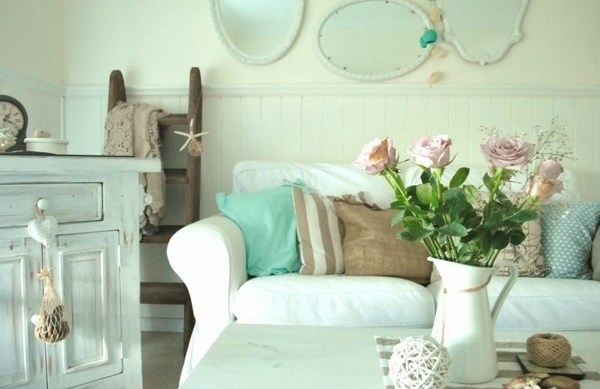 To accessorize and decorate a living room in a Shabby Chic style you can use a variety of objects. 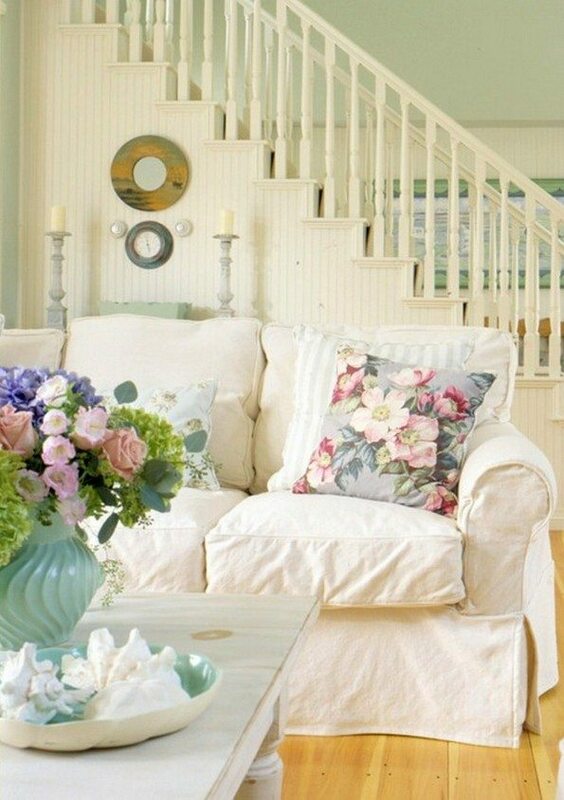 Sofas can be complemented with cushions made of colored silk with ruffles, white roses, lace, handmade quilts, etc. 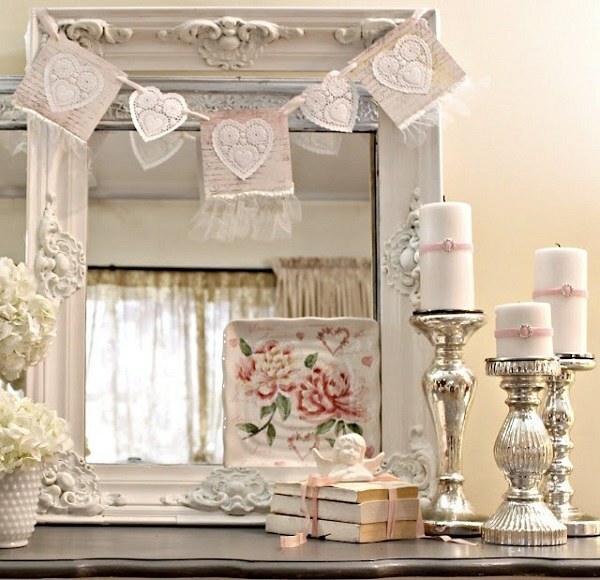 Mirrors, vintage chandeliers and ceramic vases are ideal as decoration as well. 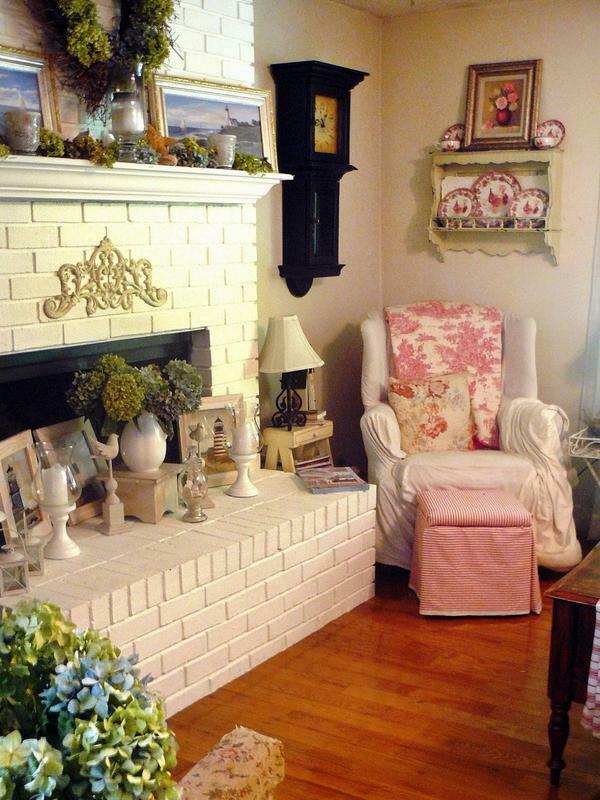 Antique picture frames are a very typical decoration. 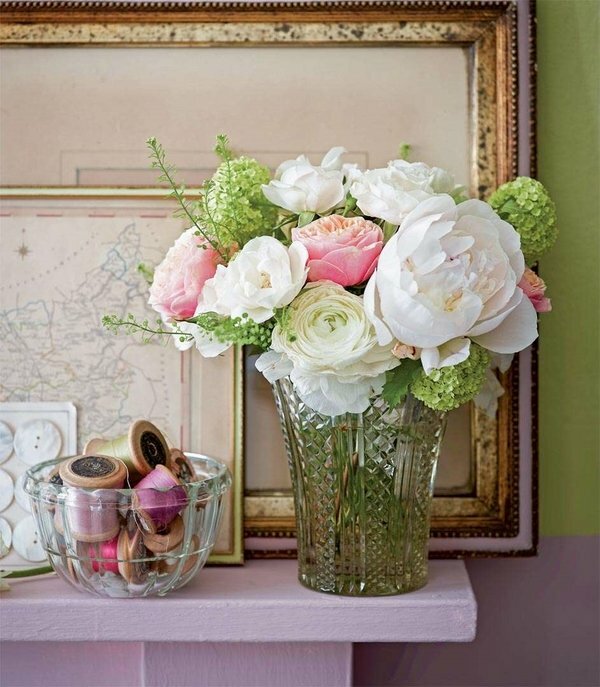 You can buy them in antique shops and use them accordingly. 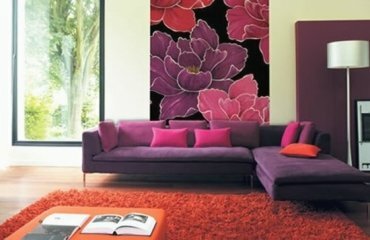 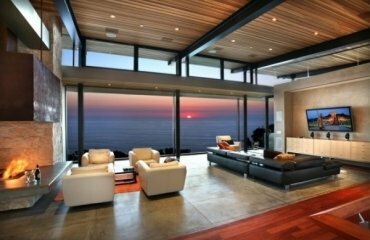 The right decor can be more important than the color palette as it sets the right atmosphere in the living room. 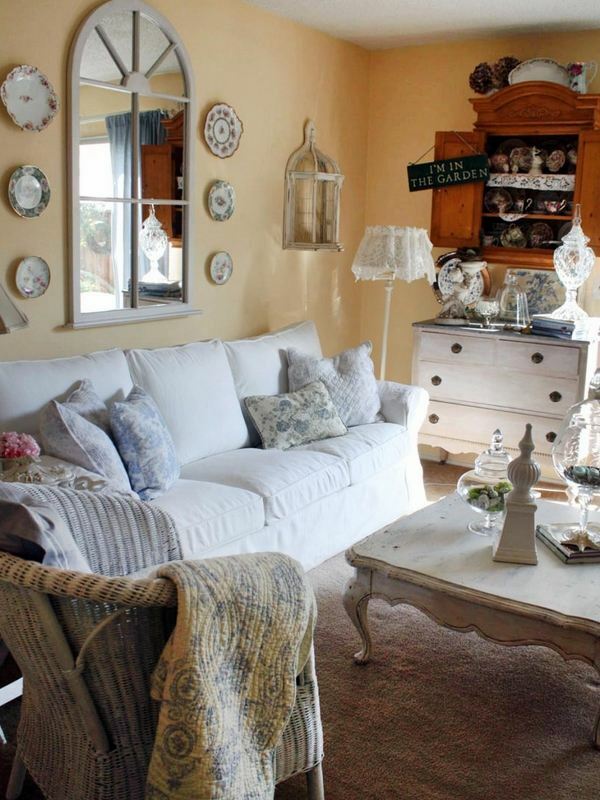 Vintage finds and beautiful antique accessories should complement the main color scheme and harmoniously blend in the interior.